Photo courtesy GCAC Clarence is a 2-year-old neutered male domestic short-haired cat. He has a sleek white and brown classic coat. This kitty is staying warm at GCAC but is ready for a permanent home and his own loving family. 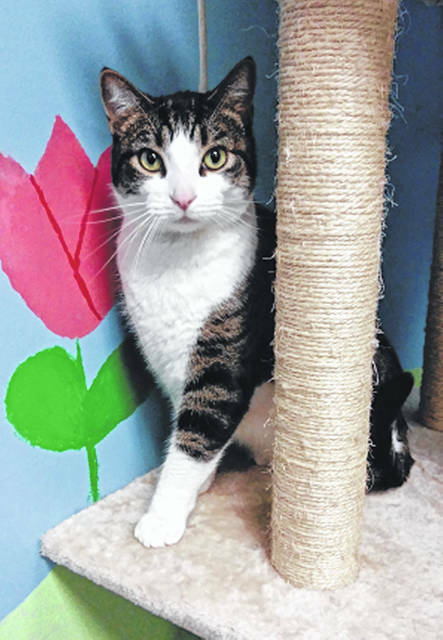 https://www.xeniagazette.com/wp-content/uploads/sites/32/2019/01/web1_Clarence.jpgPhoto courtesy GCAC Clarence is a 2-year-old neutered male domestic short-haired cat. He has a sleek white and brown classic coat. This kitty is staying warm at GCAC but is ready for a permanent home and his own loving family.